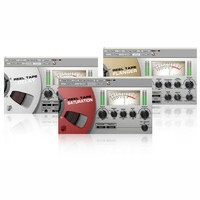 You can now bring the unmistakable warmth and richness of analogue tape to digital recordings and live sound mixes with Reel Tape Suiteâ„¢ a trio of brilliant tape emulation effects from Digidesign. 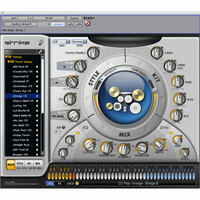 Digidesign Strike The Ultimate Virtual Drummer Strike is a revolutionary instrument plug-in that makes it easy to create professional drum performances in Pro Tools with uncanny realism and unbelievable human feel. 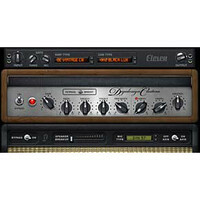 Eleven is a new guitar amp emulation plug-in that sets a new standard in sound quality and tone-shaping flexibility for recording and live guitar amp sound. 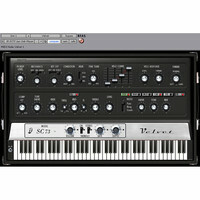 Digidesign Vintage Electric Pianos Whether you?re inspired by classic 70s rock or have an ear to create something uniquely modern Digidesign Velvet delivers stunningly realistic emulations of your favorite electric pianos.